The American Civil War and the UCI Road World Cycling Championship may have more in common than you think … this year, at least. A new passion project from The Martin Agency toys with the fact that the 2015 installment of the cycling competition is taking place in Richmond, Va., where the agency is based—and also where a number of historic battles took place some 150 years ago. 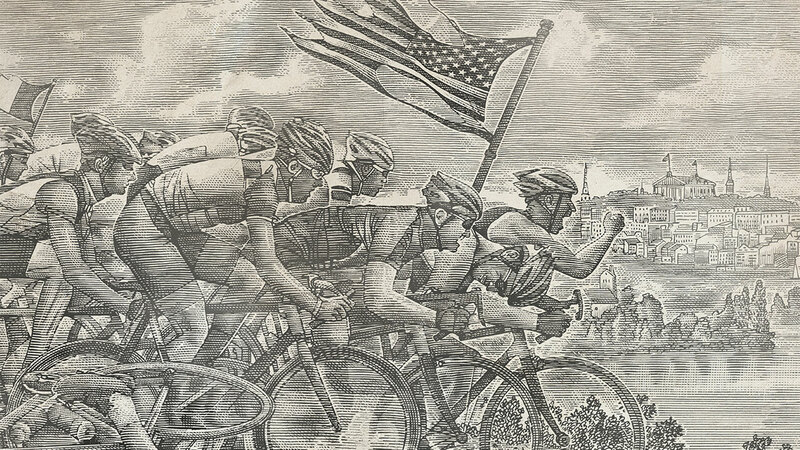 So the agency made a series of faux-vintage, Harper's-style etchings—evoking how the magazine once illustrated news of the Civil War—featuring cyclists in battle, thronging toward the finish line, cheering, crashing and wielding tattered flags against landmark backdrops like Malvern Hill and Hanover Courthouse, which aren't far from the championship's routes. This year marks the second time the U.S. has hosted the annual sports event since its 1921 inception. Colorado hosted it in 1986.